WATCH: Burnett County District Attorney Joseph Schieffer On DrydenWire Live! 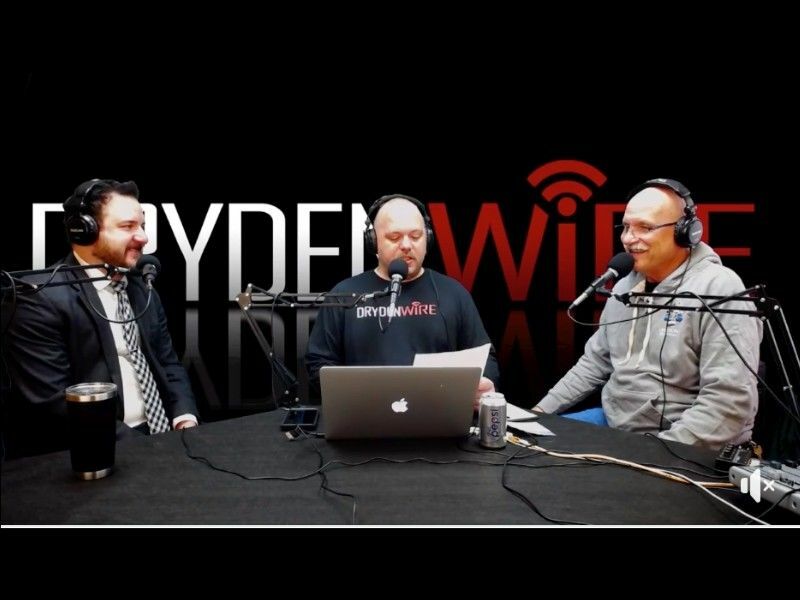 Joseph Schieffer was our very special guest on DrydenWire Live this morning. Burnett County District Attorney Joseph Schieffer was our very special guest this morning DrydenWire Live. In cased you missed our Facebook live-streaming chat, you can watch it in its entirety below. DrydenWire.com reported on December 4, 2018, that Schieffer was appointed to the position of District Attorney by then Governor Scott Walker following the retirement of William Norine. D.A. Schieffer provided a statement at that time which we will publish below so you can get to know him a little bit more. My name is Joseph Schieffer. I grew up in Fall Creek, Wisconsin where I attended high school and graduated in 2004. Before attending law school, I had a brief stint living in Burnett County about eight years ago. More recently, I have lived in Cumberland, Wisconsin since 2014. I consider myself a “young old man” and will bring my life’s experiences and education to the table starting day one. I am grateful to Governor Walker for the appointment and am humbled by being selected. It is truly a dream come true. I am blessed to have better friends and family than I deserve. While I look forward to many challenges in this job, I cannot forget about those who have made it all possible. A special thanks to DA Mark Bensen, DA Angela Beranek, and attorneys Todd and Elizabeth Smith. Each of those individuals were instrumental in my development as an attorney and person. I know I would not have this opportunity but for their efforts. And to the legal community of Northern Wisconsin especially Judges Babler, Boyle, and Bitney. I could not imagine a better place to grow as a lawyer and am thankful for such dedicated public servants to learn from. I am honored to have the opportunity to serve as district attorney and work alongside the collective backbone of the office: Assistant District Attorney Dan Steffen, Jean, Karen, Jackie, and Dawn. I will strive to maintain the professional tone of the office. I have gotten to know the staff throughout the courthouse the last couple months and have been made to feel right at home. My vision as district attorney for Burnett County is not one that ends at the close of business, rather, it is a responsibility, and more importantly a duty to the citizens of Burnett County that I will carry throughout the day and night. I am thankful to have a wife that understands my passion for pursuing justice. Having her blessing and dogs that greet me with a tail wag no matter the hour allows me to devote myself to the position. I possess a drive and enthusiasm that will lead to efficient, effective, and pragmatic prosecution. Having practiced on both sides of the aisle has helped me develop a strong emotional intelligence that leads to appropriate recommendations in cases. From the beginning of my legal career, I have litigated challenging cases against attorneys of all experience levels and enjoy the challenge. Perhaps most importantly, I am thankful for the opportunity to invest my time, energy, and intelligence into the community. I look forward to getting to know the citizens and hearing their observations. I have always seen the community as an underutilized resource that adds important perspectives to issues in the area. I look forward to calling Burnett County home again! This is an exciting time to work as DA in Burnett County with an ambitious and hard working Judge Mogen and Sheriff Elect Tracy Finch who I have the utmost respect for even in the brief time I’ve known her. Those two along with the veteran police chiefs and law enforcement officers in the county are a recipe for good things to happen. Enough talk... I better get to work!